Can I receive my benefits living abroad? If you are a United States citizen, you can travel or live in most foreign countries without affecting your eligibility for Social Security benefits. However, if you reside in Cuba or North Korea, you cannot receive your Social Security benefits because of the U.S. Treasury Department payment restrictions. Also, if you go to any of the following countries you can receive your Social Security benefits only if you meet and agree to certain restricted conditions – Azerbaijan, Belarus, Georgia, Kazakhstan, Kyrgyzstan, Moldova, Tajikistan, Turkmenistan, Ukraine, Uzbekistan, and Vietnam. If you are not a United States citizen, the law requires Social Security to stop your payments after you have been outside the United States for six consecutive calendar months, unless you meet one of several exceptions in the law allowing your benefits to continue. Most of these exceptions are based on your country of citizenship, residence, or on other conditions. There are two different types of Social Security Disability benefits available to most US citizens and residents – Title II, or Social Security Disability Insurance (SSDI), benefits and Title XVI, or Supplemental Security Income (SSI), benefits. Residents of the territory of Puerto Rico are eligible for SSDI benefits if they have obtained the requisite “working credits” by paying taxes into the Social Security system; however, they are not eligible to receive SSI payments. The application process for residents of Puerto Rico is largely similar to that of residents of the 50 states. The first stage of the Social Security Disability application process takes a Puerto Rico resident approximately 3-4 months to complete. More than 50% of applications are denied at this stage. If you are denied, you may file an appeal. The first stage of appeals is called a Request for Reconsideration, which takes another 3-4 months to complete. Again, the majority of these requests are denied. You may then pursue the second level of disability appeals, which is a hearing before an Administrative Law Judge (ALJ). Depending on the area of Puerto Rico that you live in, it can take anywhere from 289 to 550 days to be scheduled for this disability hearing due to the current hearing backlog. The agency responsible for scheduling hearings for these claimants is known as the Office of Disability Adjudication and Review (ODAR). The area of Puerto Rico that you live in will determine which ODAR office manages your disability case and the backlog of that office determines how long you must wait for your disability hearing to be scheduled. Having an experienced representative can increase your chances of being awarded benefits by the ALJ deciding your claim. 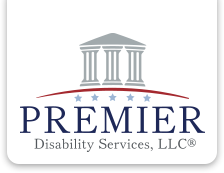 If you are interested in help applying for SSDI benefits in Puerto Rico, please contact us and let us help you apply for Social Security Disability. Monthly Social Security and Supplemental Security Income (SSI) benefits for more than 65 million Americans will increase 0.3 percent in 2017, the Social Security Administration announced in October. The 0.3 percent cost-of-living adjustment (COLA) will begin with benefits payable to more than 60 million Social Security beneficiaries in January 2017. Increased payments to more than 8 million SSI beneficiaries will begin on December 30, 2016. The Social Security Act ties the annual COLA to the increase in the Consumer Price Index as determined by the Department of Labor’s Bureau of Labor Statistics. Some other adjustments that take effect in January of each year are based on the increase in average wages. Based on that increase, the maximum amount of earnings subject to the Social Security tax (taxable maximum) will increase to $127,200 from $118,500. Of the estimated 173 million workers who will pay Social Security taxes in 2017, about 12 million will pay more because of the increase in the taxable maximum.